There are two different scenarios when probate may be necessary. If you have a Will, probate may be needed. If you die without any estate documents, so no Will or Trust, you may need probate. If you don’t have any documents, you are said to die “intestate”. Probate is a court process used to determine who gets what and who will be in charge of distributing assets. Many people strive to avoid probate due to the costs, the hassle of putting together the necessary paperwork and the fear of dealing with a court system. In addition, once a probate is filed, your estate becomes part of the public record. Anyone searching for info on you can find the probate documents, addresses, heirs names and addresses, etc. A probate will take at least 4 months from start to finish. When you pass away, if you have a Will, your appointed personal representative or executor will need to file your Will with the court. 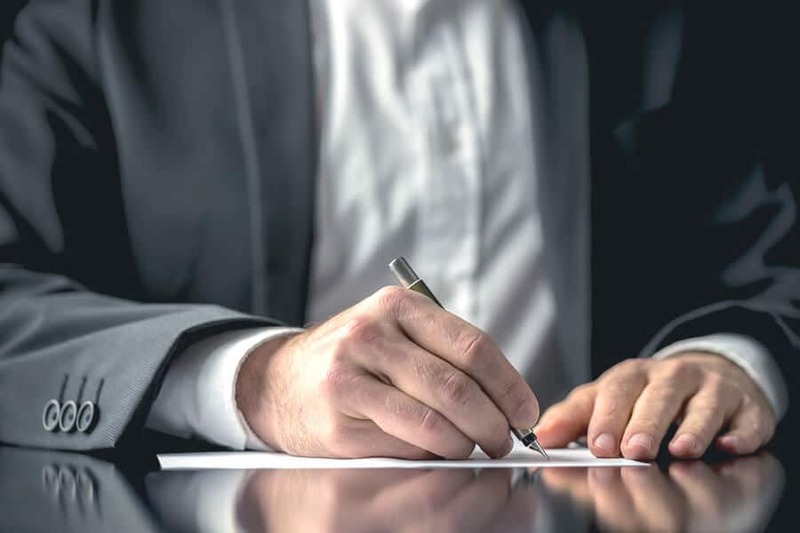 Once the court establishes the validity of the Will, it will issue a letter of administration to the personal representative, which authorizes him or her to manage your estate. The personal representative must meet all filing and court deadlines and requirements. He or she will be required to manage your estate, validate and pay outstanding debts, collect any applicable income, inventory the assets, and file a final tax return. The personal representative’s job is a large one and he or she is allowed to hire legal assistance at the expense of the estate. It can take some time to work through the probate process and inventory, disburse and close an estate. If you have a simple and straightforward estate, your personal representative may be able to push through probate within a matter of months. But, if your estate includes complicated business interests, income streams, and outstanding debts, probate may take much longer. Generally speaking, the larger and more complex your estate, the longer probate will take. This is in part because your personal representative will need more time to inventory and verify all the assets and debts. Who the beneficiaries are, and whether they are satisfied with the Will, can also impact how long the probate will take. If a beneficiary contests a will, it not only prolongs the probate process, it also can lead to family disputes and hard feelings that can last a lifetime. The state of Arizona has two main types of probate. Informal probate is the easiest, fastest and most popular type of probate. Once the probate is filed, there is not that much court oversight. As a result, informal probates usually can get done quicker. Formal probate is used when there are legal issues that need to be decided regarding the estate. If there are disputes about the Will, asset distributions, or who will be the executor, a formal probate must be used. The court can become involved and make legal decisions regarding the issues. Because legal disputes require much more court participation, they can prolong the probate process significantly. The last and best type of probate is no probate at all. Certain estates can avoid probate altogether. If your estate is comprised of assets that pass directly to a beneficiary without the need for any administration, you will avoid probate. These types of assets are items such as life insurance policies, payable on death accounts and property held as community property or joint tenancy with right of survivorship. Having a Revocable Living Trust is another way to avoid probate. Since all of your assets are linked to the Trust, those assets all avoid probate. A Revocable Living Trust is like a Will with benefits. It is a great tool for avoiding probate and providing control over your assets and how they will be distributed. If you have lots of different types of assets, why put your complicated estate through a probate when you can avoid that by using a Revocable Living Trust? Talk to an estate planning attorney today to find out how you can avoid probate and help your loved ones handle your assets in the most efficient way possible.